Since solubility of carbon is reduced with decreasing temperatures, both in austenite and in ferrite, carbon is diffised in the form of grain boundary cementite. Therefore, if a steel material with carbon proportions by mass of more than approx. 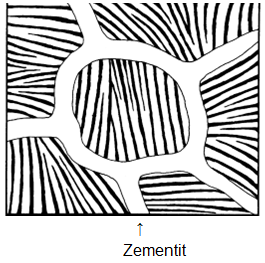 1 % is cooled slowly, cementitecementite will form during continuous transition which deposits along the grain boundaries. 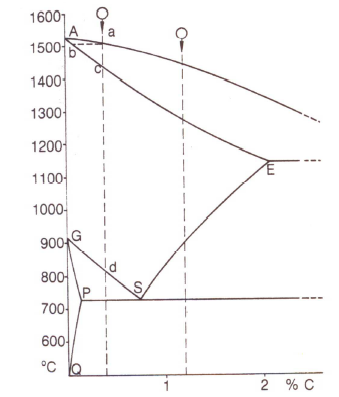 Figure 1 ilustrates the cooling sequence with 1.2 % C usting the example of over-eutectoid steel (from 0.8 to 2.06 % C, see Eutectoid). 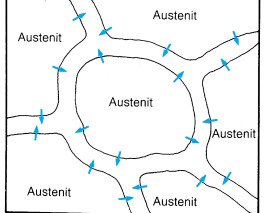 The homogenously sized austenite grains formed during solidification transform as soon as the S-E line is reached (at approx. 900 °C, s. vertical dashed line on the right in Figure 1). Below this temperature γ-Fe (see Gamma iron) is no longer capable of maintaining that ammount of carbon dissolved within the lattice. Therefore, the C-atoms diffuse towards the grain boundaries (Figures 2 and 3) and form cementite there. 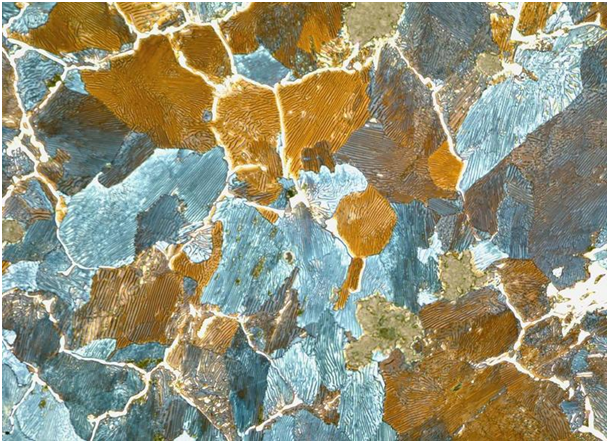 Grain boundary cementite is present between the pearlite grains in lattice structures and thus forms a hard shell. This is an undesired effect, particularly for cold forming purposes. Therefore, the grain boundary cementite must te transferred to a more favorable, i.e. nodular form by means of heat treatment and intensive remolding.